The benefits of being well-read are plenty. 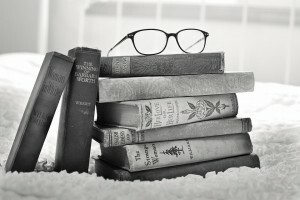 Go through this post by The Tutoring Center, Frisco TX to learn how reading can help you improve in different areas of your life. If you have academic goals that you wish to reach, turn to The Tutoring Center, Frisco TX. Call (469) 980-7940 to inquire about their academic programs, or to enroll in one-to-one tutoring in Frisco TX. There is an infinite amount of reading material that you can go through. Moreover, there's an infinite amount of topics that you can learn from said material. This means that the more you read (and the more varied your reading), the more you'll learn about a wider range of subjects. This will help you have more interesting conversations and more educated opinions that you can share with friends, colleagues, and family. Reading doesn't only help you learn about different topics, it helps you learn different words, too. When you read, you come face to face with words that are new to you. And, if your curiosity allows it, you will search for those words meaning in the dictionary. Doing so will help you to, little by little, broaden your vocabulary, which you can later incorporate into your own conversations and ideas. If you're a student who needs assistance with their reading comprehension skills, their writing, their grammar, their vocabulary, their spelling, or other similar academic abilities, you should be reading often. This is because, when you read, you're inadvertently practicing these skills, developing them, and becoming better at them. So, if you want to have more successful learning experiences, read material by great authors who master the English language, so you can somewhat imitate them. As mentioned above, by reading extensively you'll acquire knowledge on a variety of topics. And, you'll also have a wider vocabulary you can make use of. Lastly, you'll be learning about grammar and how to express your ideas from the authors you're reading. All of this can add up to improved communication skills, meaning you'll be more efficient at articulating and voicing your thoughts (being in written or oral form). If you require academic support to become a better reader or master your school subjects, call The Tutoring Center, Frisco TX at (469) 980-7940 to request a free diagnostic assessment. Just as you will be a more skilled communicator, reading more will also help you be a more skilled listener. This is because, as you read (especially if you're reading a variety of material from a variety of different authors), you're confronted with myriad different ideas, opinions and other ways of thinking. This will make you more likely to be open to diverse ideas and listen to what others have to say. Being inspired can be a hard state of mind to achieve. However, it is necessary to be inspired and creative in different stages of your life, but especially when you're a student. If you have a challenging time being inspired, reading will be your savior. This is due to the fact that new ideas often stem from other ideas. And, since reading makes you encounter new ideas, as well as use your imagination, you can expect inspiration to come over you at any minute. Reading also has the advantage of being great exercise for your mind. When you read, you learn, you practice, you imagine, you focus, and have a lot of other mental processes going on. This makes reading an activity that requires great brainpower. For that reason, the more you read, the more you will challenge your mind and develop a stronger, more awake, and more capable brain. Lastly, one of the best benefits you will get out of being well-read is a surge in confidence. As you could attest from this post, reading helps you improve in a few different areas (i.e. it makes you more knowledgeable, a better learner, and more). This can result in you being more assured about your abilities, which will help you have a different outlook on yourself and on the world. Call The Tutoring Center, Frisco TX at (469) 980-7940 to enroll in one-to-one tutoring in Frisco TX. Doing so will allow you to become a better learner and a more successful student.